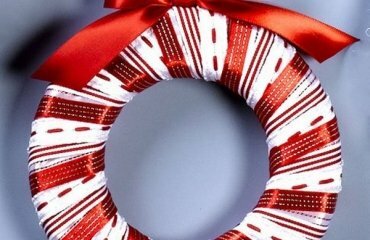 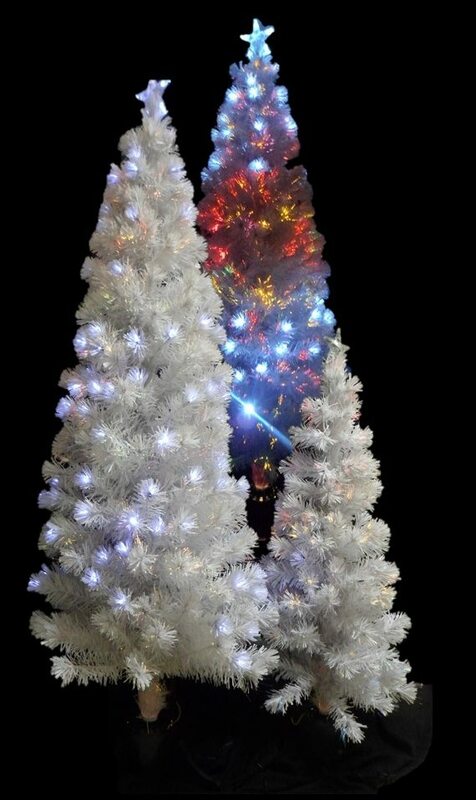 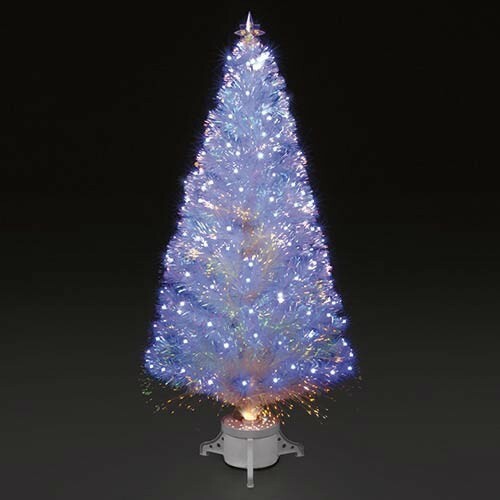 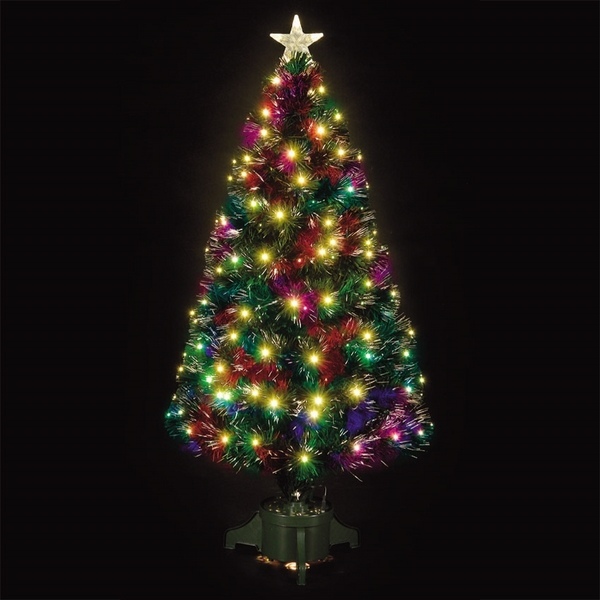 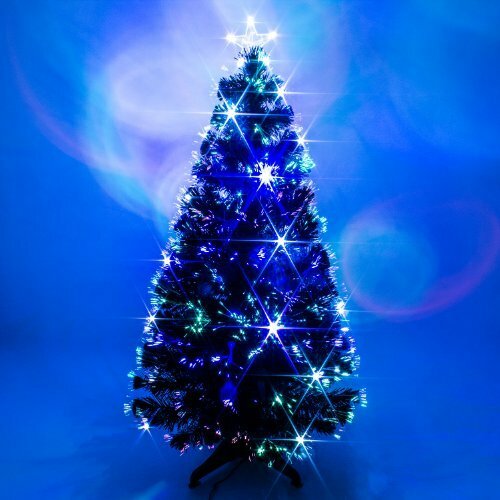 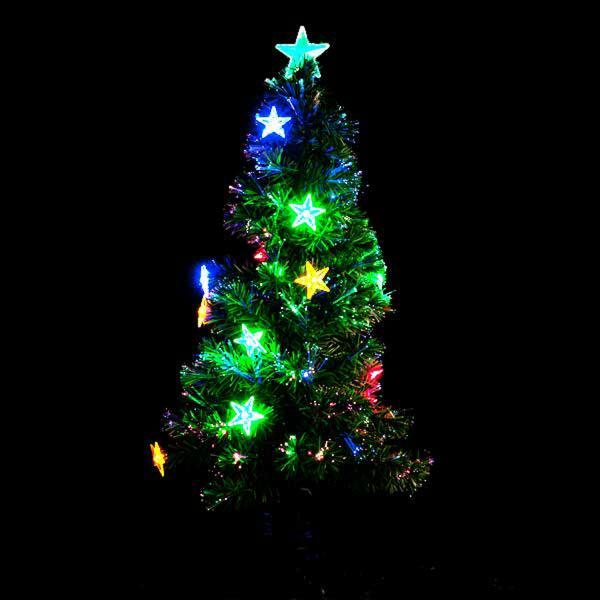 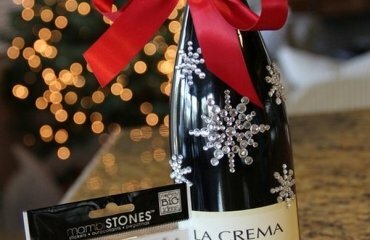 Fibre optic Christmas trees have appeared in the world of artificial trees and add an additional choice for everyone who would like to create a festive atmosphere in his home for the holidays. 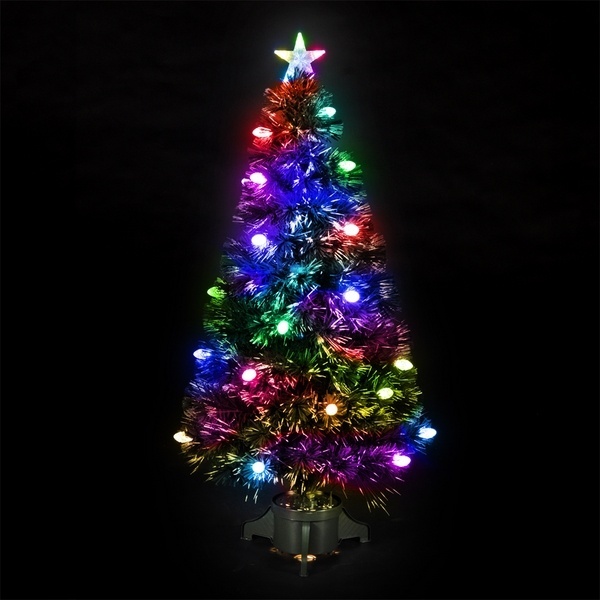 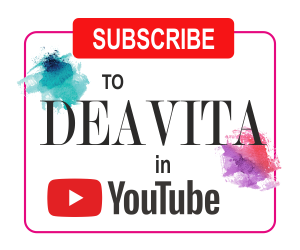 Using the latest achievements in technology, these trees are real fun, especially for kids, as they could change their color and add to the joy! 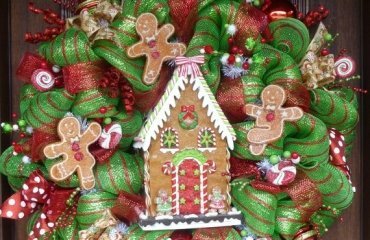 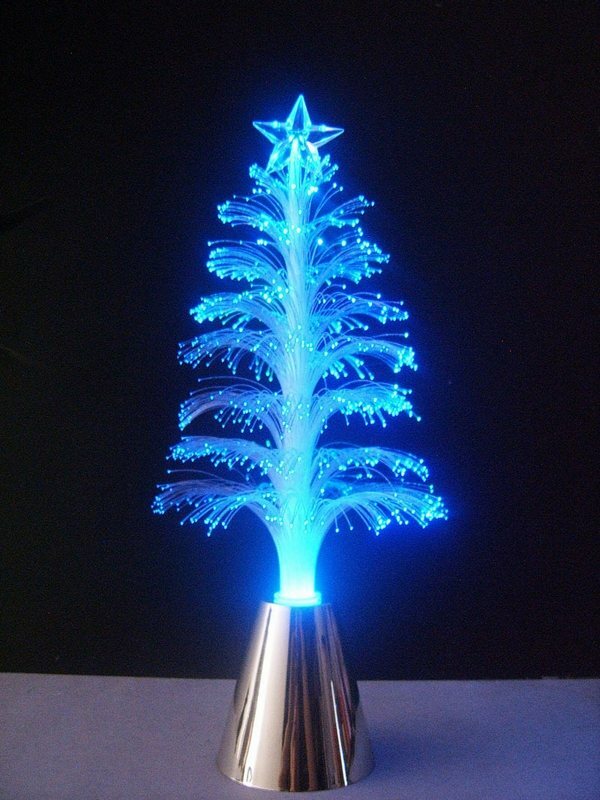 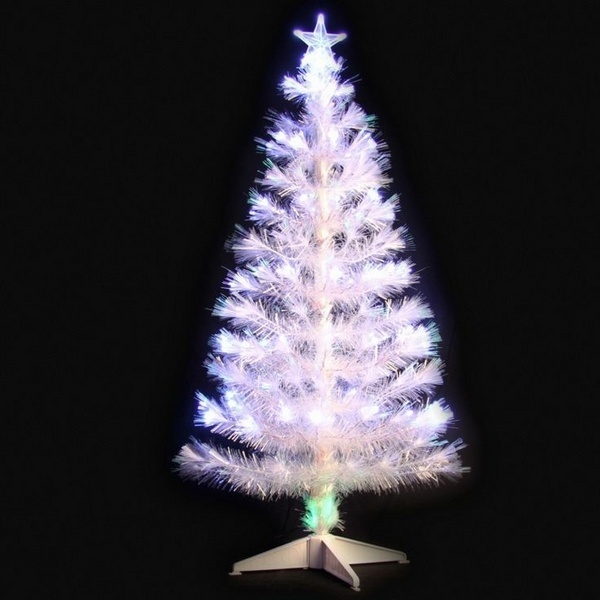 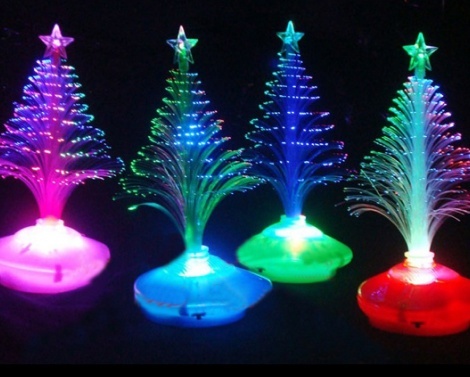 Fiber optic Christmas trees will provide a natural look and save you from cleaning dry needles from all over the house. 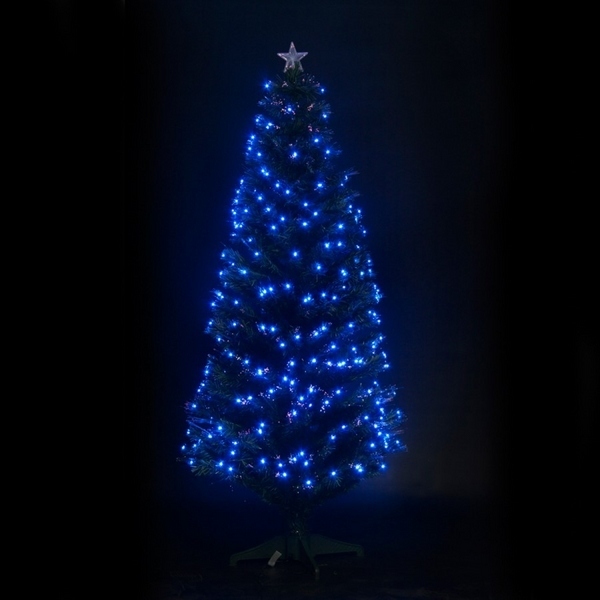 These trees come in a wide variety of sizes and colors and look really mesmerizing when glowing in a dark room. 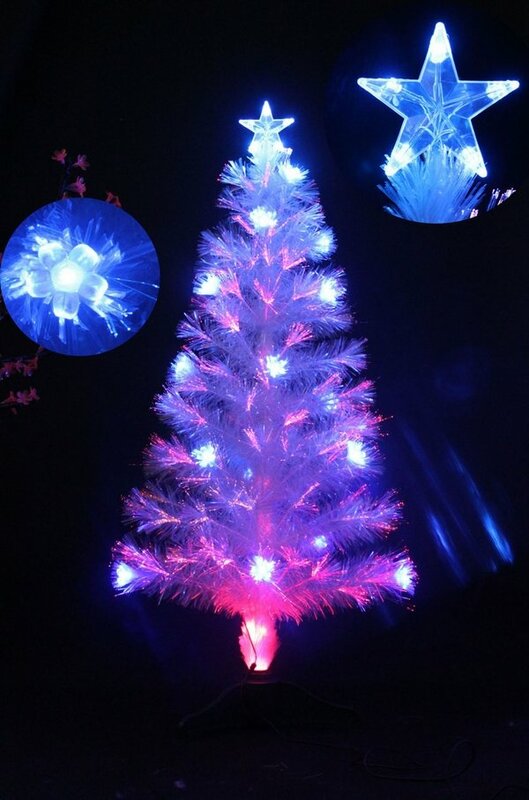 To achieve the incredible light effect manufacturers weave optical fibers through the branches which sparkle in different colors. 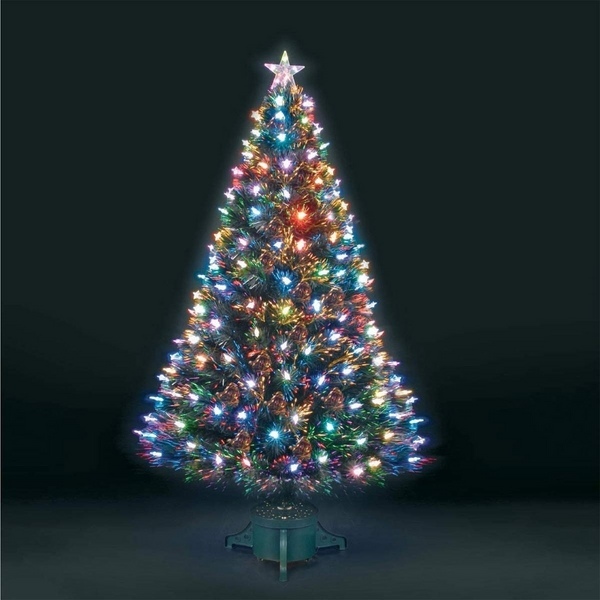 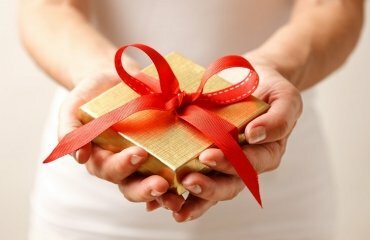 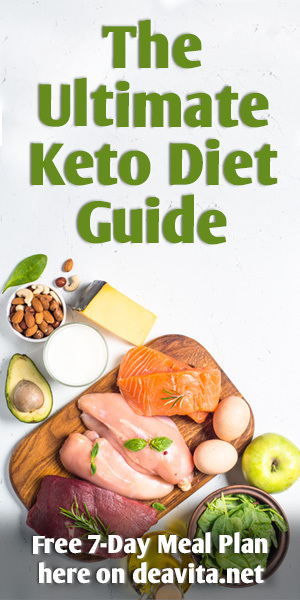 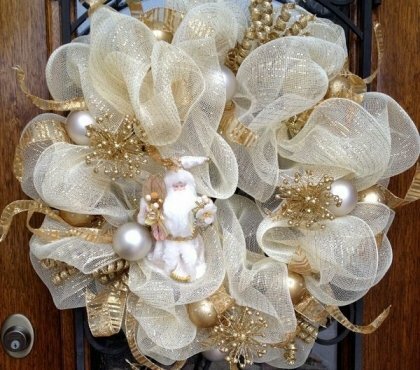 This will save you the worries to check if the traditional lights, which you use year after year, are in good working order and more important – you will not need to worry for the safety of your kids and family members. 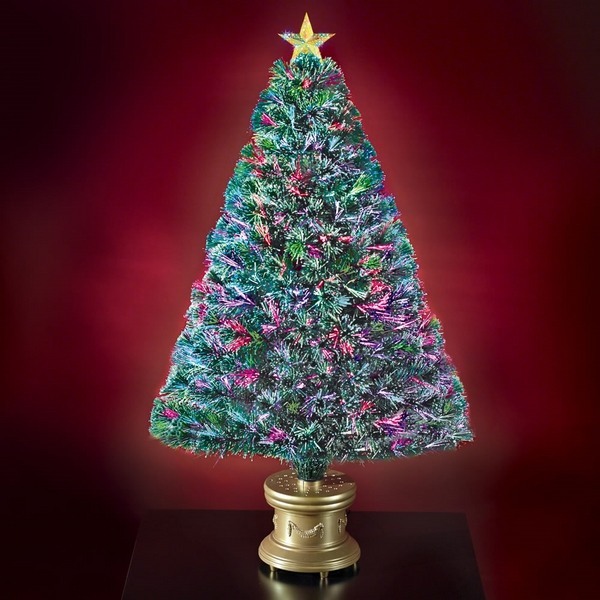 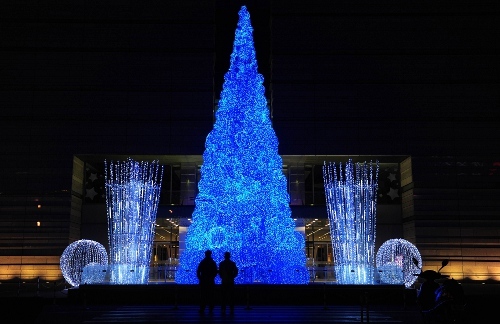 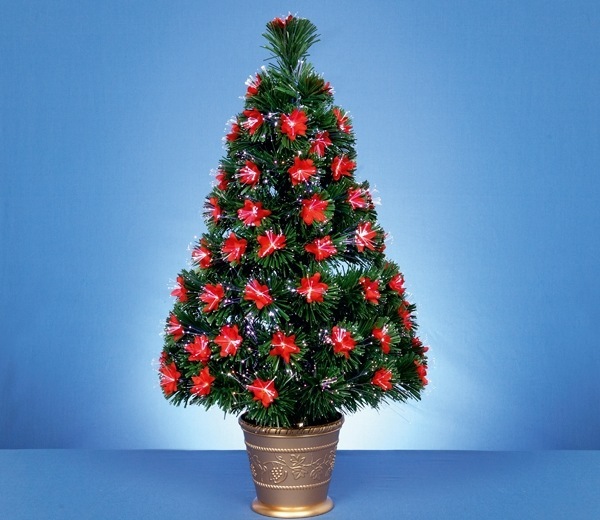 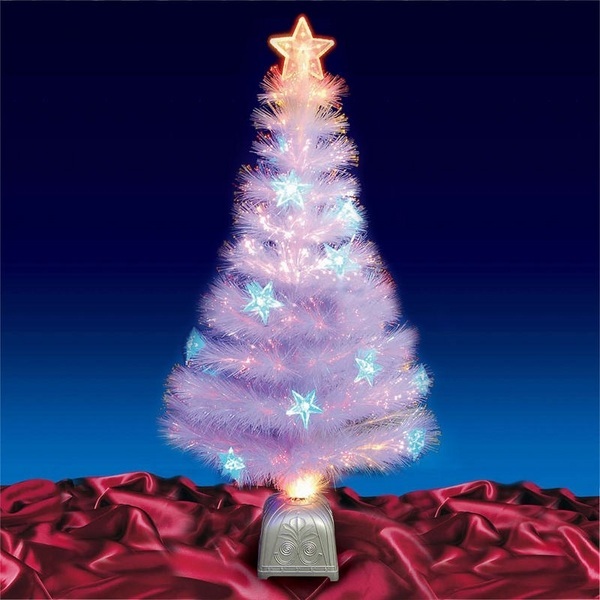 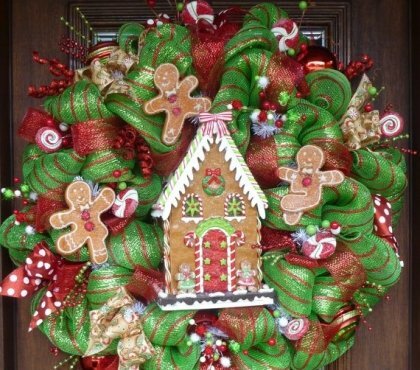 Artificial Christmas trees are becoming more and more popular lately and same applies for fibre optic Christmas trees. 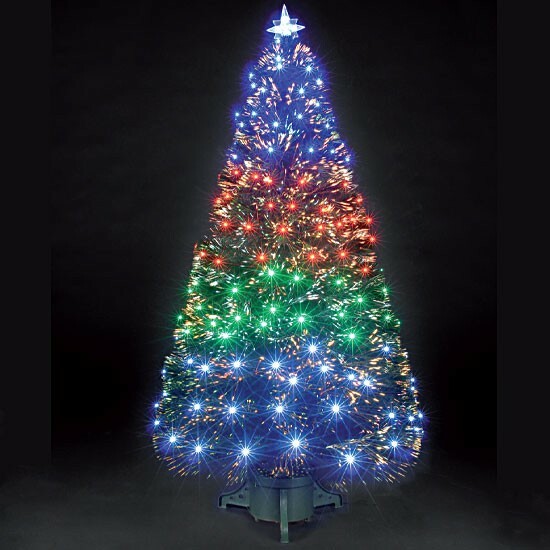 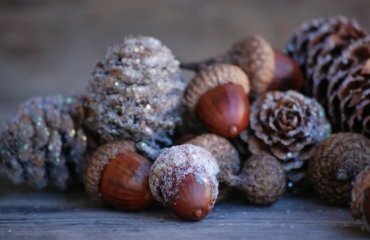 There are several reasons for that – the trees look quite realistic, they are very easy to install, easy maintenance and last, but not least, using an artificial tree contributes to the ecology and preservation of woods. 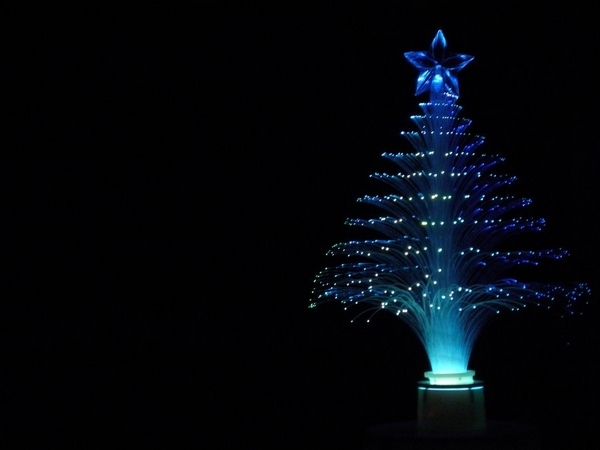 Further to that fibre optic Christmas trees are absolutely easy to operate, and they have a very low power consumption. 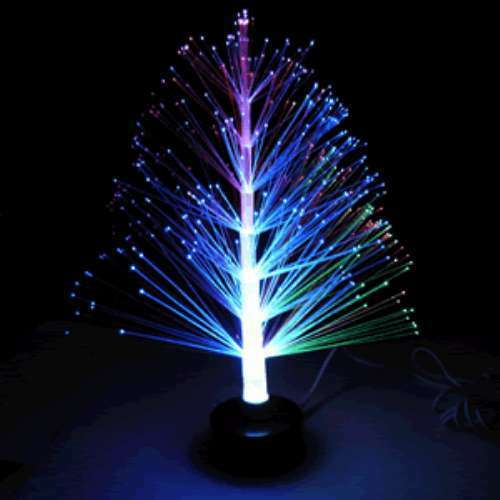 A fibre optic tree will be a great gift idea while a table top option shall be a nice decorative accent in the office, for example, or a beautiful and eye catching centerpiece for the decoration of your festive dinner table.